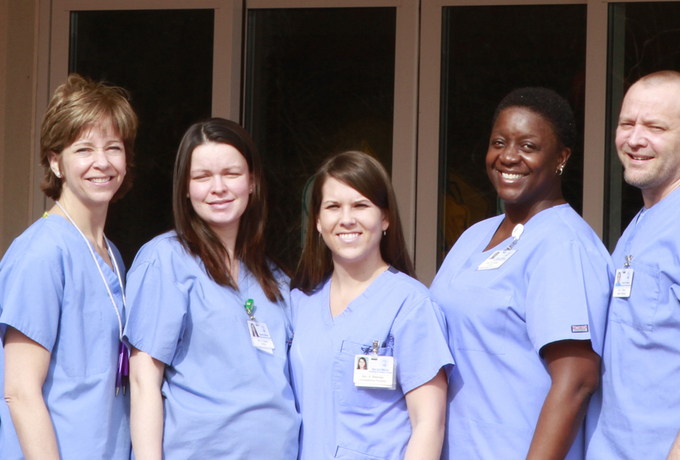 Our team of physical therapists (PT), occupational therapists (OT), and speech therapists (SLP) work to speed recovery and return residents to home as quickly as possible. Our therapists work one-to-one with you in our state-of-the- art gym equipped with the latest rehabilitation equipment. 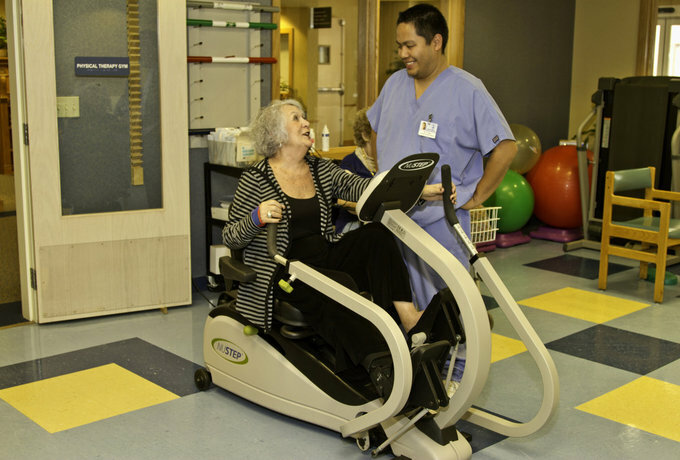 Bel-Air Manor specializes in several areas of rehabilitation, including orthopedic rehabilitation, for patients who have undergone knee and hip replacement surgery and other orthopedic procedures. 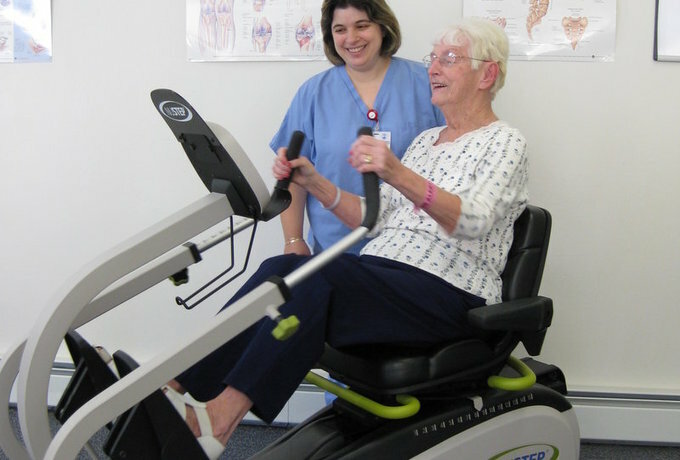 Bel-Air Manor provides outpatient rehabilitation for patients who wish to continue their physical therapy, occupational therapy or speech therapy after discharge. Residents from the surrounding community are also welcome to schedule outpatient therapy at Bel-Air Manor. Contact Chris Olson, Rehabilitation Manager, to get started. 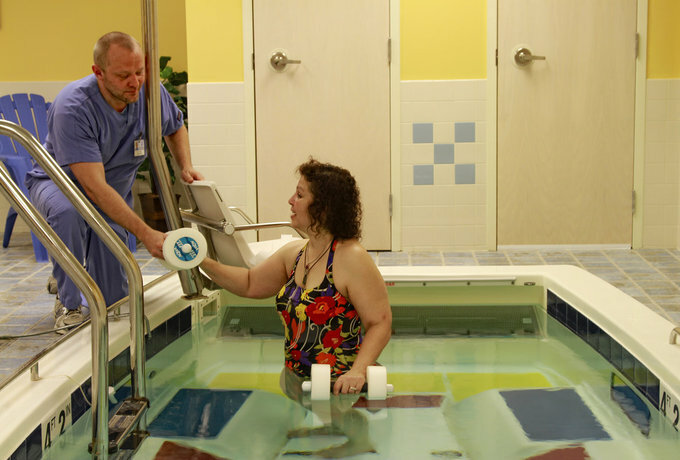 A Swim-Ex pool is available for aquatic therapy. Aquatic therapy is especially beneficial after joint replacement surgery as the water provides a buoyant medium for exercising without putting weight on fragile joints.